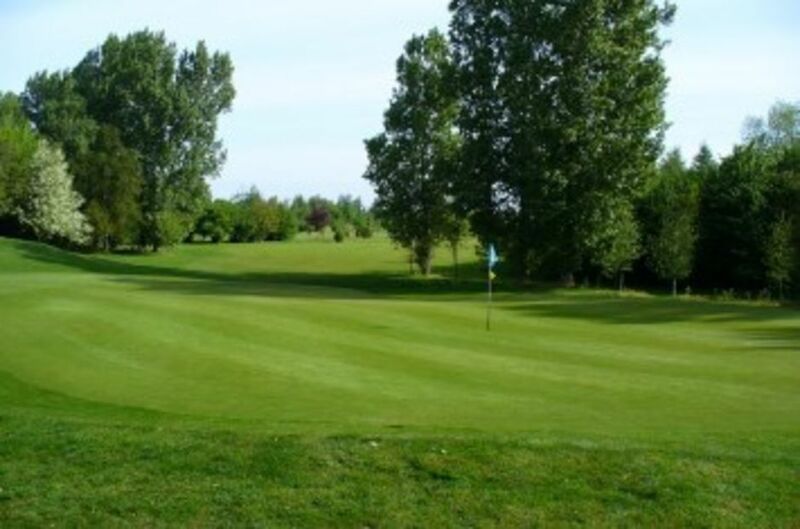 From these humble beginnings the Club, which changed its name to Spalding Golf Club in February 1926, has grown over the years until today it is acknowledged as one of the premier courses in Lincolnshire. However those hardy souls who joined at the beginning would not now recognise the course. Initially the land was rented and play was not possible during the summer months when the grass on the fairways was needed for grazing! the greens being fenced off to protect them. The original course was, over the years, extended to become a full 18 holes until the advent of the second world war when the Club lost the tenancy of or licence to play over certain lands at Surfleet which reduced the course to 9 holes and as this land had to be grazed by cattle, sheep, horses and a very smelly goat the greens and certain trees had, once again, to be protected by surrounding fences. It was not until 1950 that the Club bought the land it now occupies and following a further land purchase and complicated exchange in 1972 the course again had 18 holes in play. Further land was acquired in 1974 (the old railway line to the west of the course) to provide a parking area for the members and visitors. Prior to this they had to park their cars and then walk across the railway line carrying their equipment. This land was, of course, lost to the Club with the building of the Spalding by-pass earlier this decade. A forward looking decision by the Club to purchase some 34 acres of land in 1989 meant that the course could be extended and this was planned and executed by an in house team with the opening of the extension taking place in August 1993. Further land, some 20 acres was purchased in 1991; as yet this is undeveloped except for the greenkeepers building and a reservoir for course irrigation and is used as a practice area. The Club has a large driving range with 8 covered and 6 open bays complete with a ball dispenser. Over the last few years there have been minor changes and the course has been further refined until it is undoubtedly one of the finest in Lincolnshire. This kind of work never ceases and the Club has further improvements planned for the future. The membership, originally just over 50, has grown over the years as the course has been developed and extended and the number of playing members now stands at 750. It should be borne in mind that being a private members club it is the members, over the years, who have agreed to and funded all the changes, many of them major, which have resulted in the Club becoming the success it is today.